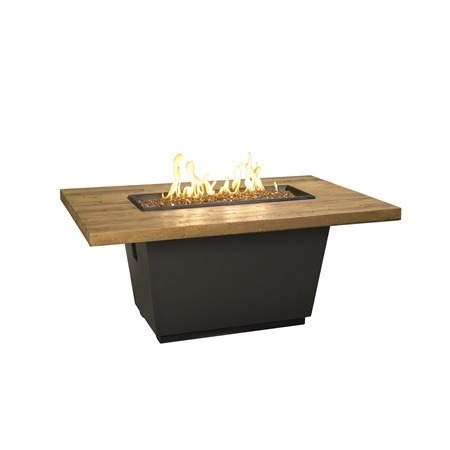 The Reclaimed Wood Cosmo Gas Fire Pit Table – Rectangle is a unique mix of rustic and modern. 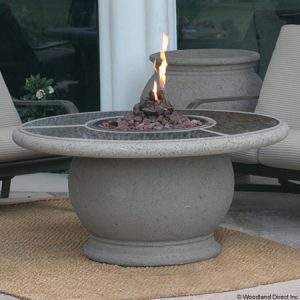 This gas fire pit table is sure to get your guests talking. 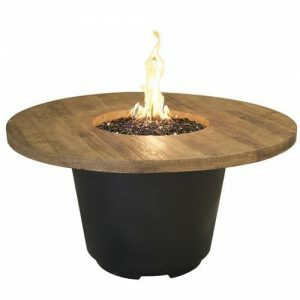 From it’s beautiful faux wood top, to the Black Lava colored base, this fire pit table is sure to turn heads. The black burner pan matches perfectly with the base and looks great too. 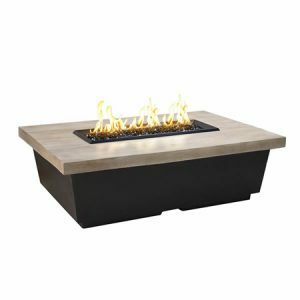 The chat height size of this table makes it perfect for having a few drinks or even just sitting around the fire. 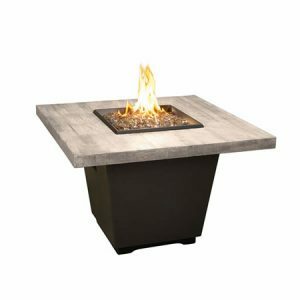 The Reclaimed Wood Cosmo Gas Fire Pit Table – Rectangle is made of glass-fiber reinforced concrete with a stainless steel burner to withstand the elements. 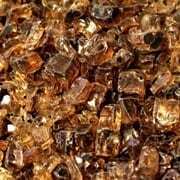 The stunning reclamed wood style top looks amazing in almost any outdoor room. The flame is adjustable so you can turn it down to make it more comfortable for dining. If you choose to go with the propane version you can even store a 20 lb. propane tank right in the base of the table! 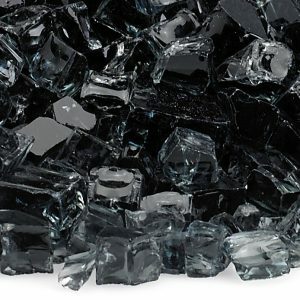 Suggested Fire Glass: 25 lbs.